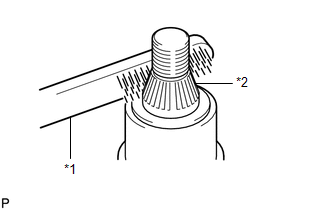 (a) Using a T30 "TORX" socket wrench, install the windshield wiper motor assembly with the 2 bolts. 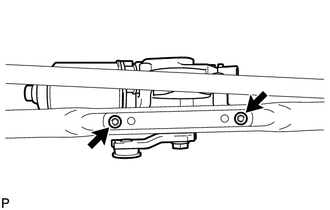 (b) Apply MP grease to the crank arm pivot of the windshield wiper motor assembly. 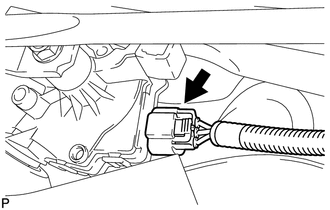 (c) Install the windshield wiper link rod to the crank arm pivot of the windshield wiper motor assembly. 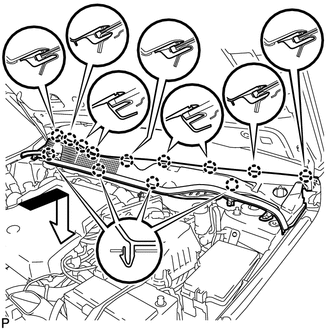 (a) Install the windshield wiper motor and link assembly with the 3 bolts as shown in the illustration. 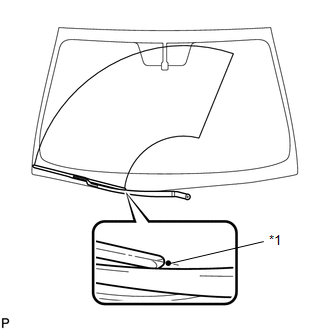 (a) Engage the 13 claws and install the cowl top ventilator louver sub-assembly as shown in the illustration. (b) Install the 2 clips. 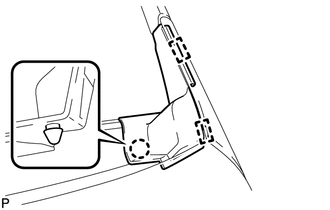 (a) Engage the claw and 2 guides to install the front fender to cowl side seal LH. 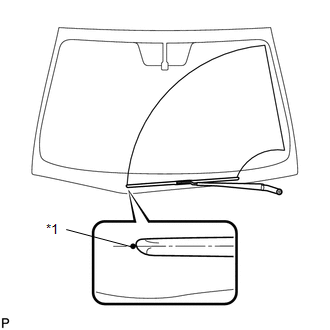 (a) Operate the wiper and stop the windshield wiper motor at the automatic stop position. 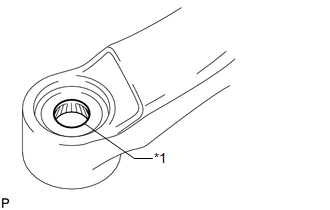 (d) Install the front wiper arm and blade assembly RH with the nut to the position shown in the illustration. 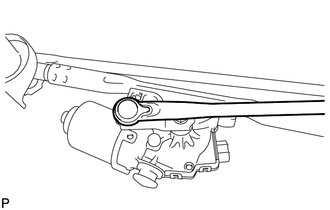 (c) Install the front wiper arm and blade assembly LH with the nut to the position shown in the illustration. 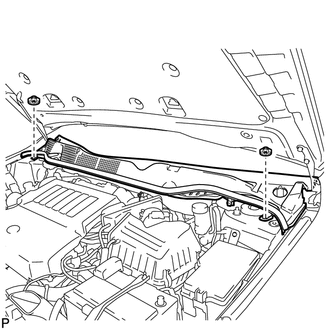 (d) Operate the front wipers while spraying washer fluid onto the windshield. 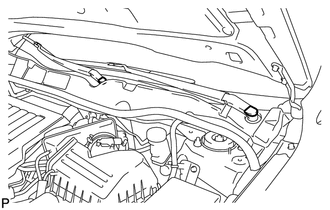 Make sure that the front wipers function properly and the wipers do not come into contact with the vehicle body. 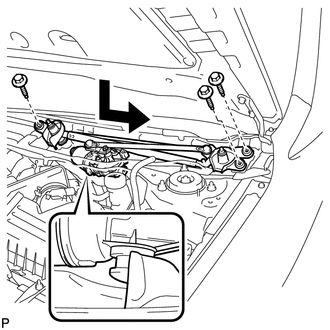 (a) Install the 2 front wiper arm head caps.